There are no upcoming events and news. 2012 Talk of the Town Customer Satisfaction Award! Ashoka Indian Cuisine Scores a Huge Victory with the 2012 Talk of the Town Customer Satisfaction Award! 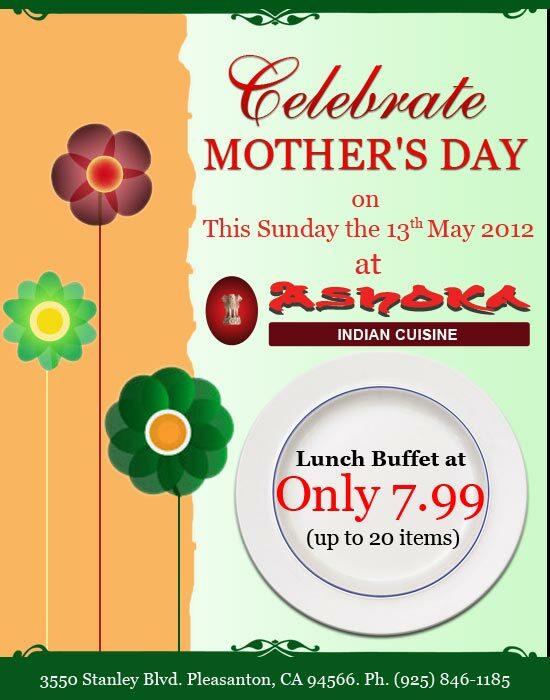 Ashoka Indian Cuisine | Get 10% off on the online order $25 or more. 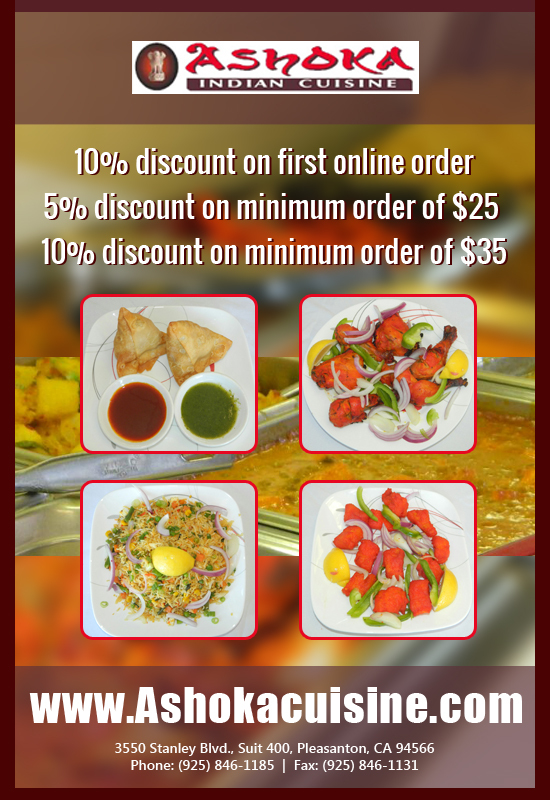 Ashoka Indian Cuisine provide delivery in the following Zip codes: 94566, 94588.